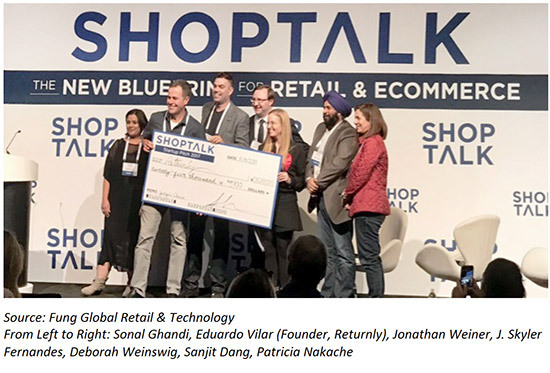 This week, the Fung Global Retail & Technology team attended the second annual Shoptalk conference in Las Vegas. The organizers described it as “the nextgen commerce event” and expected more than 5,000 attendees from more than 40 countries. Those at the conference are exploring disruption in the retail industry ranging from new technologies and business models to changes in consumer preferences and expectations, particularly with regard to how consumers discover, shop and buy. Returnly, a B2B fintech platform that streamlines the returns experience by offering shoppers instant returns (judges’ selection). Myagi, a mobile- and web-based training platform that connects retailers and brands with their sales associates (audience’s selection). On the second day of the conference, the main topics of discussion were e-commerce, technology and innovation. E-commerce companies Amazon and eBay shared their efforts to improve fulfillment speed. Amazon pointed out that instant fulfillment, such as two-hour delivery, could become the norm for e-commerce in the future. Many retailers are rethinking technologies that can help them run stores more efficiently and engage customers. Lowe’s, for example, is creating a more efficient and engaging shopping experience by introducing autonomous robots at 11 of its retail stores. Walmart’s e-commerce arm announced the launch of a technology startup incubator in Silicon Valley designed to help identify changes that will reshape the retail experience. Dubbed Store No. 8, the incubator will house startups that are wholly owned by Walmart but run independently. On the third day of the conference, the discussion centered on customer lifestyles, physical store environments and the restructuring of retailers’ organizations. An environmentally conscious and healthy lifestyle has become essential to millennials, and they seek to buy consumer products that are in line with their values. At Shoptalk, there were several emerging companies in the fashion, food and pet sectors that offer such products. Retailers are breaking up silos in their organizations in order to better serve their customers seamlessly, both online and offline. The CEO of Kohl’s shared the company’s efforts to create a one-view merchandising team that oversees both channels. Digitally native companies such as Bonobos, Birchbox and Away have moved away from an online-only approach and started to embrace physical stores, pop-up locations and showrooms so that consumers can engage with their products in person. Retailers such Target and West Elm are creating new physical environments that enable consumers to interact with their products in a more immersive way. 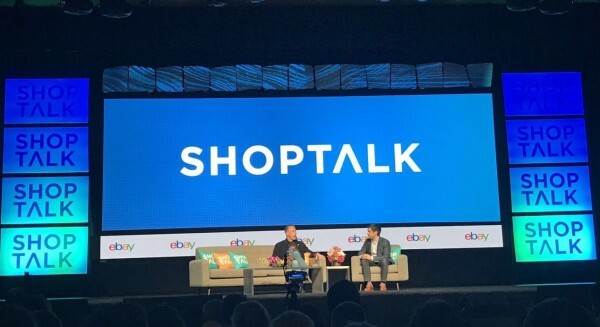 Please click on the links to read our full coverage of Day One, Day Two and Day Three at Shoptalk. Retailers can find our full coverage of the SXSW conference on https://fungglobalretailtech.com/. If you like what you are reading, subscribe to our daily news and analysis of retail, technology and fashion here.